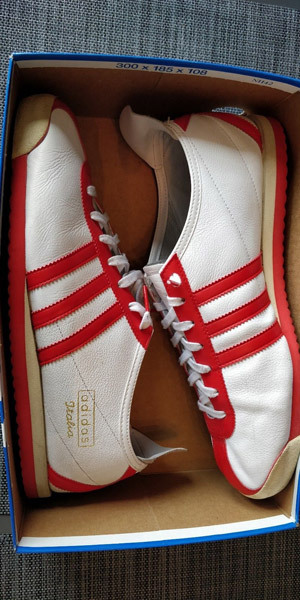 I love this style and it seems to be off the Adidas radar right now. 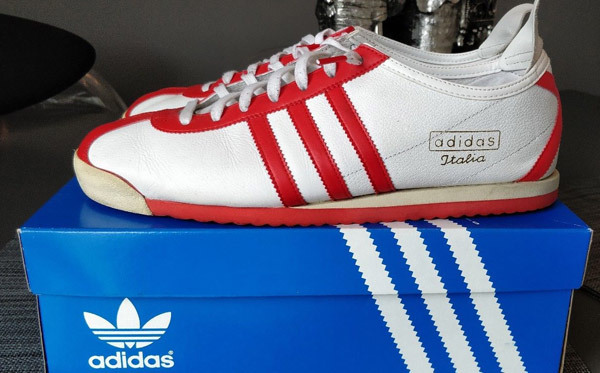 If you do too, check out the Adidas Italia 1960 trainers in white and red on eBay. 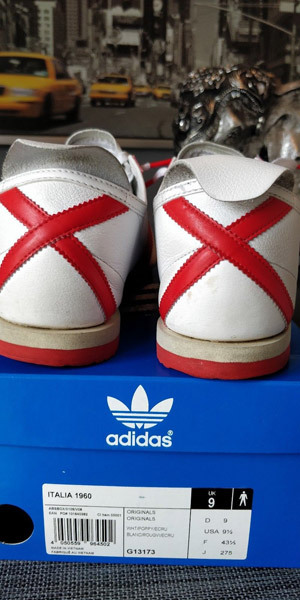 There are a few other pairs on eBay right now, but most are firmly in the ‘well worn’ category or up for hugely inflated prices. 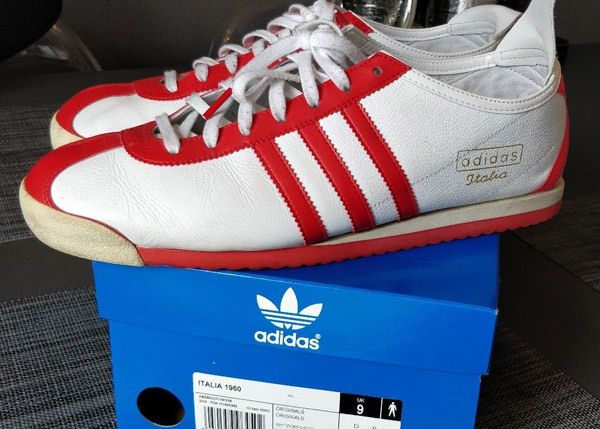 This pair is about the cheapest out there in reasonable condition. 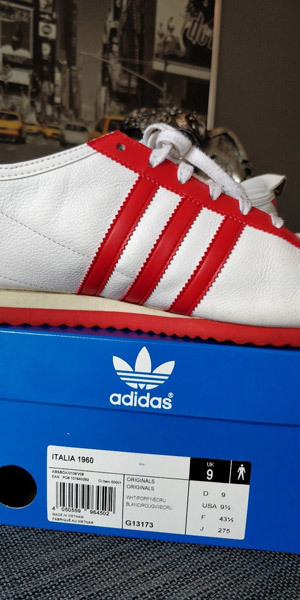 In fact, the condition of this 2010 reissue of an Adidas classic is actually well above average. 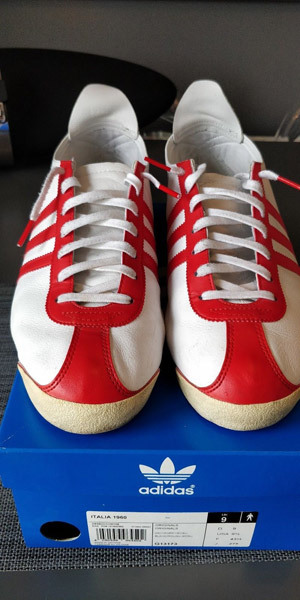 It is a size 9, boxed and described as being in ‘very, very good original condition’. 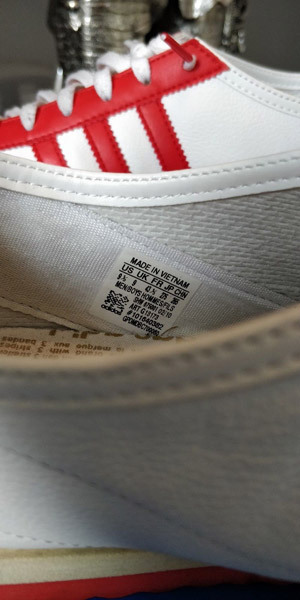 However, they aren’t in brand new condition and there is a small mark on the side that you might want to examine. But otherwise, this looks to be a good looking pair. It is on a ‘Buy It Now’ for £95, which compares favourably with others in similar condition. If anyone from Adidas (or anyone with influence with them) happens to read this, do us all a favour. 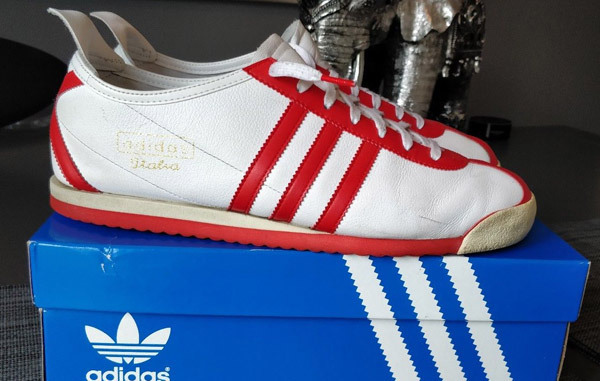 Reissue these. It’s an amazing style that really doesn’t deserve all these years in the wilderness.